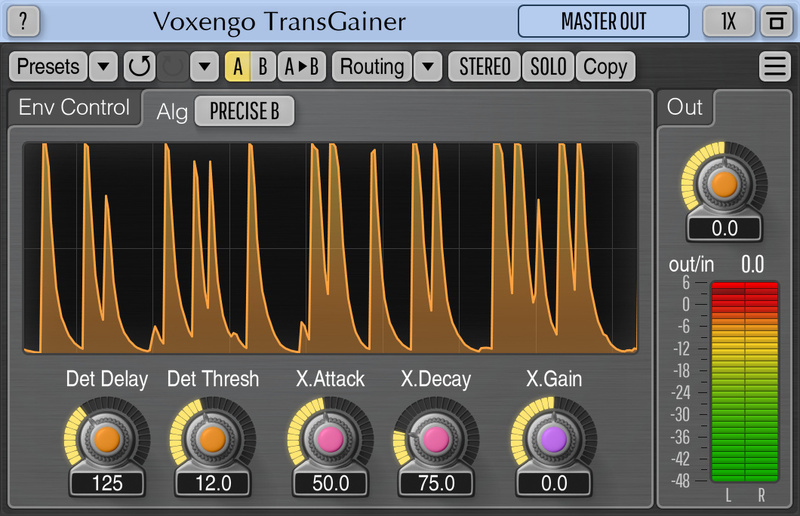 TransGainer, an audio effect AAX, AudioUnit and VST plugin suitable for a wide range of professional sound and music production uses, implements an audio signal envelope adjustment algorithm that reacts on transients rather than on a signal’s loudness level. This algorithm allows you to adjust volume of attack and sustain stages of any sounds you use it on. TransGainer was designed in a way to be suitable for all possible sound sources – be it individual tracks or full mixes. 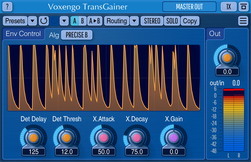 In many cases TransGainer can be used in place of gate and expander plugins while delivering a better sound and offering an easier control. Beside that, TransGainer can be used for audio recording restoration/re-mastering purposes and reverb tail modifications with excellent results.